Out now on Armada Music is another treasure by Ben Gold b2b Omnia’s new moniker FUTURECODE. They debuted this at ASOT 900 Utrecht and it’s a sign of more to come. 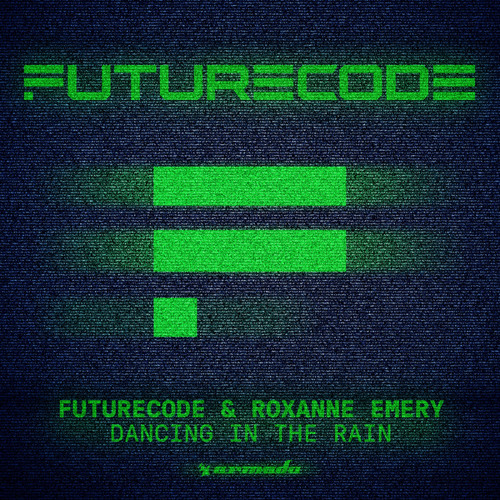 Featuring the vocals of Roxanne Emery, here is another sweet tune titled ‘Dancing in the Rain‘. This song marks the first official single from the duo. It contains intense and uplifting melodies with a beautiful piano in the background. Feel the rush at the breakdown where the chord progressions and arpeggiations take you higher. Side chain compressions accompanied with the strings and synths move the song forward. Lyrics like “Hold on I know you’re missing what the darkness stole” create power and emotion. Lose yourself in the words as it hits your heart and soul. Its infectious signature sound from both artists is why we love trance. They created the moniker as it represents their desire to infuse both their unique styles into dance music’s DNA. It’s still early in the year but we can expect many great things to come from them. With six planned singles and a collaboration, the trance world sees no shortage of this duo. As they tour this summer, be on the look out for shows in Slovakia, Europe, Asia, and North America. Festival lineups better watch out when they see them imprinted on there. Listen to the new track and follow them on tour!